Tadoba Andhari Tiger Reserve is located in Chandrapur district, Maharashtra state, India. It is Maharashtra's oldest and largest national park. Created in 1995, the area of the Reserve is 625.40 square kilometres (241.47 sq mi). This includes Tadoba National Park, created in 1955 with an area of 116.55 square kilometres (45.00 sq mi) and Andhari Wildlife Sanctuary created in 1986 with an area of 508.85 square kilometres (196.47 sq mi). The Reserve is constituted with 577.96 square kilometres (223.15 sq mi) of reserve forest and 32.51 square kilometres (12.55 sq mi) of protected forest. "Tadoba" is taken from the name of the god "Tadoba" or "Taru", worshipped by the tribes who live in the dense forests of the Tadoba and Andhari region, while "Andhari" refers to the Andhari river that meanders through the forest. Legend holds that Taru was a village chief who was killed in a mythological encounter with a tiger. A shrine dedicated to the God Taru now exists beneath a large tree, on the banks of Tadoba Lake. The temple is frequented by adivasis, especially during a fair held annually in the Hindu month of Pausha, between December and January. The Gond kings once ruled these forests in the vicinity of the Chimur hills. Hunting was completely banned in 1935. Two decades later, in 1955, 116.54 square kilometres (45.00 sq mi) was declared a national park. Andhari Wildlife Sanctuary was created in the adjacent forests in 1986, and in 1995 both the park and the sanctuary were merged to establish the present tiger reserve. Tadoba Andhari Reserve is the largest national park in Maharashtra. The total area of the reserve is 625.4 square kilometres (241.5 sq mi). This includes Tadoba National Park, with an area of 116.55 square kilometres (45.00 sq mi) and Andhari Wildlife Sanctuary with an area of 508.85 square kilometres (196.47 sq mi). The reserve also includes 32.51 square kilometres (12.55 sq mi) of protected forest and 14.93 square kilometres (5.76 sq mi) of uncategorised land. To the southwest is the 120 hectares (300 acres) Tadoba Lake which acts as a buffer between the park's forest and the extensive farmland which extends up to Irai water reservoir. This lake is a perennial water source which offers a good habitat for Muggar crocodiles to thrive. Other wetland areas within the reserve include Kolsa Lake and the Andhari River. Tadoba reserve covers the Chimur Hills, and the Andhari sanctuary covers the Moharli and Kolsa ranges. It is bounded on the northern and western sides by densely forested hills. Thick forests are relieved by smooth meadows and deep valleys as the terrain slopes from north to south. Cliffs, talus, and caves provide refuge for several animals. 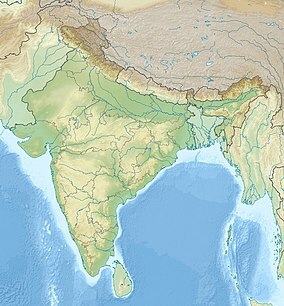 The two forested rectangles are formed of the Tadoba and Andhari ranges. The south part of the park is less hilly than the remainder. Tadoba reserve is a predominantly southern tropical dry deciduous forest with dense woodlands comprising about eighty seven per cent of the protected area. Teak is the predominant tree species. Other deciduous trees include ain (crocodile bark), bija, dhauda, hald, salai, semal and tendu. Beheda, hirda, karaya gum, mahua madhuca (crepe myrtle) and Lannea coromandelica (wodier tree) are other common species. Axlewood (Anogeissus latifolia) is a fire-resistant species growing here. Palas or flame of the forest (Butea monosperma) adds vibrant color to the forest. Black plum trees grow in the riparian habitat around the lake. At the waterhole at Panchadhara, huge Arjun trees present. Patches of grasses are found throughout the reserve. Bamboo thickets grow throughout the reserve in abundance. The climber kach kujali (velvet bean) found here is a medicinal plant used to treat Parkinson's disease. The leaves of bheria are used as an insect repellent and bija is a medicinal gum. Beheda is also an important medicine found here. There are 120 tigers, as of March 2019 in the reserve, and 58 in the forests immediately outside the reserve. Aside from the keystone species, the Royal indian tiger, Tadoba Tiger Reserve is home to other mammals, including: Indian leopards, sloth bears, gaur, nilgai, dhole, striped hyena, small Indian civet, jungle cats, sambar, barking deer,Palm civet, chital, chausingha and honey badger. Tadoba lake sustains the marsh crocodile, which was once common all over Maharashtra. Reptiles here include the endangered Indian python and the common Indian monitor. Terrapins, Indian star tortoise, Indian cobra and Russel's viper also live in Tadoba. The lake contains a wide variety of water birds, and raptors. 195 species of birds have been recorded, including three endangered species. The grey-headed fish eagle, the crested serpent eagle, crested hawk eagle are examples of raptors seen in the park. Indian Paradise Flycatcher - Female - Tadoba Andhari Tiger Reserve, Chandrapur, Maharashtra, female guarding its nest weaved on a bamboo twig. Other species include the orange-headed thrush, Indian pitta, crested treeswift, stone curlew, crested honey buzzard, paradise flycatcher, bronze-winged jacana and lesser goldenbacked woodpecker. Warblers and the black-naped blue flycatcher exist here and the call of the peacock may often be heard. 74 species of butterflies have been recorded including pansies, monarchs, mormons and swordtails. Insect species include the endangered danaid egg-fly and great eggfly. Dragonflies, stick insects, jewel beetles and the praying mantis are other insects located in the reserve. The signature spider, giant wood spider and red wood spiders are often seen during the monsoon and soon after. Some hunting spiders like the wolf spiders, crab spiders and lynx spiders are also common. There are 41,644 people living in and around the reserve in fifty nine villages of which five are inside the core zone. These villages in the core zone still farm inside the core area. The process of rehabilitation is going on. Recently the Navegaon village was rehabilitated, and grassland is expected on the place where the village existed. There are 41,820 cattle within the core and buffer zone. While cattle grazing is not allowed in the core zone, regulated grazing in the buffer zone is allowed to cattle of the village inhabitants. However, cattle in peripheral villages sometimes find their way into the reserve and cause additional damage to the habitat. Forest fires are a constant problem in the dry season, consistently burning between 2% and 16% of the park each year. The killing of domestic livestock by tigers and leopards is a frequent phenomenon in the neighboring villages. This has an adverse impact on the economic condition of the local people and results in a negative view of Reserve management. In the year 2013 at least four people and 30-50 cattle were killed by leopards, tigers or sloth bears. Densely forested hills form the northern and western boundary of the tiger reserve. The elevation of the hills ranges from 200 metres (660 ft) to 350 metres (1,150 ft). The main attraction at the Tadoba National Park are jungle safaris. Open-top jeeps and buses with trained local guides are available for visitors. Accommodation is also available at various locations. The nearest International Airport is Dr. Babasaheb Ambedkar International Airport, Nagpur (140 kilometres (87 mi) via Umrer, Bhisi, and Chimur). The park is accessible by rail via Chandrapur railway station (on the New Delhi–Chennai main line) which is 45 kilometres (28 mi) away. The nearest main bus stands are Chandrapur 45 kilometres (28 mi) away and Chimur 32 kilometres (20 mi) away. ^ Mazhar, Ali (2016-08-11). "Problem of plenty hits Tadoba tiger conservation work". Times of India. Retrieved 2016-09-05. Wikimedia Commons has media related to Tadoba Andhari Tiger Reserve. This page was last edited on 17 April 2019, at 05:18 (UTC).